Professor Kristjanson AO is Vice-Chancellor and President of Swinburne University of Technology. She is a Fellow of the Australian Institute of Company Directors and Fellow of the Australian Academy of Technology & Engineering (ATSE). Professor Kristjanson is Chair of the Board of the Victorian Comprehensive Cancer Centre and serves on the as a non-Executive Director of the Global Citizen Australia Board. 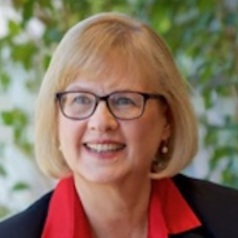 In 2002 Professor Kristjanson was named the Australian Telstra Business Woman of the Year in recognition of her entrepreneurial work in health, science and innovation.